The list of delights we shared with you was not enough? Don’t worry: our itinerary to discover the best Tuscan foods is not finished yet. Today we take you to areas rich in tasty dishes and traditional Tuscan desserts, real must-eats of every holiday in Tuscany! Sugar, flour, eggs and anise essence. Few ingredients, a unique taste. 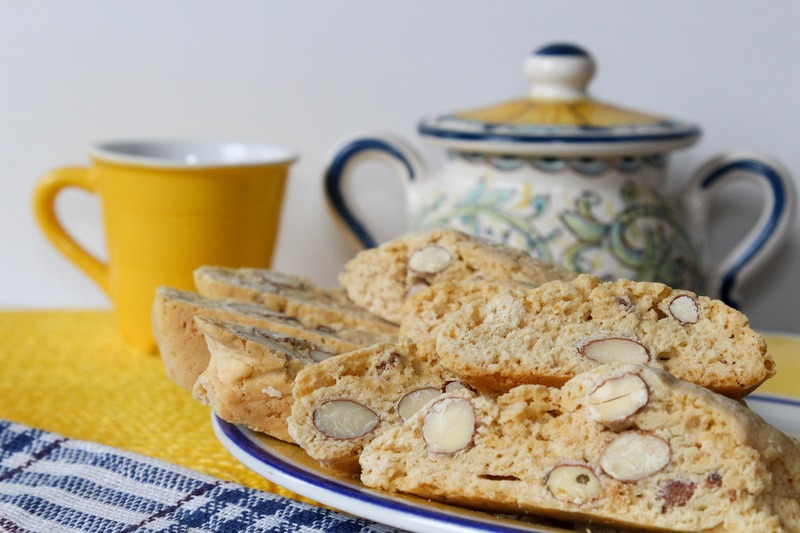 The “Brigidini di Lamporecchio” are thin biscuits similar to large golden hosts of about 6 centimeters in diameter, typically sold during village fairs and festivals. What give them their particular shape? An automated machine that, by compressed air pistons, presses the mixture on red-hot aluminum tiles. The name is due to the brigidine nuns of the convent of Pistoia who invented these biscuits in the 16th century. Also called “Biscuits of Prato“, the cantucci (or “cantuccini”) are now the pride of all Tuscany, but it is in these area that they were born and to which they owe their names. They are bis-cooked, in the literal sense of the term: the dough filled with almonds is cooked twice to ensure the typical crunchiness. The loaves of dough are baked and then cut into the characteristic alonged shape: afterwards, the biscuits are put back in the oven and roast from each side until they are completely browned. They are usually eaten after a meal, with a small glass of vinsanto. 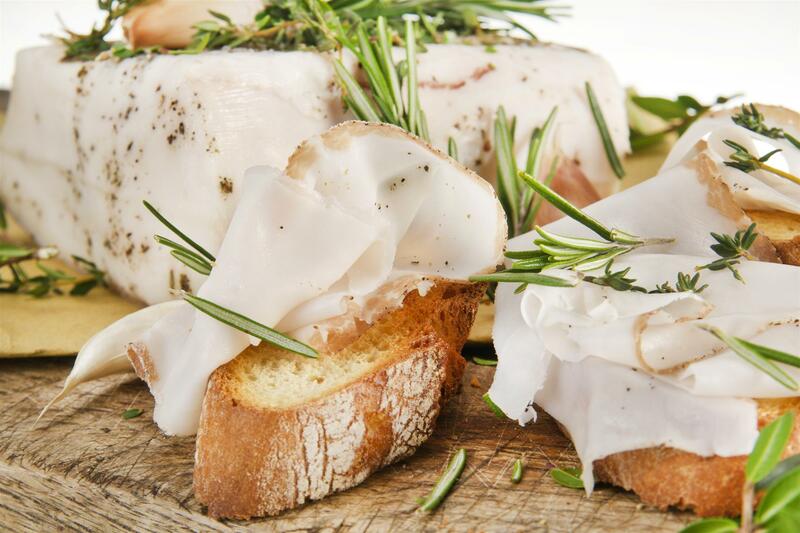 The lard of Colonnata is one of the most popular Tuscan products. Although it is basically pork fat, its delicate but strong flavor is unmistakable and can enrich even a simple slice of toasted bread or give a unique touch to many recipes. Do not miss also the testaroli, known as the oldest type of pasta in history, dating back to ancient Rome. This typical dish of Lunigiana is prepared by mixing flour, water and salt. The batter is then cooked on cast-iron texts red-hot on the open flame and the “testarolo” is then cut into diamonds of 5 cm and immersed in boiling water. Watch the video to see how they’re made! Many of the typical recipes of Tuscan cuisine are poor dishes but rich in taste, born to give energy to those who had to work but able to delight the palate. The Acquacotta makes no exception: together with pappa al pomodoro, panzanella and ribollita is one of the most famous Tuscan dishes based on bread. In the southern part of Tuscany there are many variations – with or without the tomato, with or without the egg, with porcini or without, with extra virgin olive oil or rigatino – and is known to be the favorite dish of the “butteri” , the Tuscan cowboys. Much older than the Sicilian namesake, the Buccellato of Lucca is a typical dessert – usually served as a meal’s end accompanied by vin santo – made with flour, butter, eggs, sugar, sultanas and anise. Traditionally it has the shape of a donut – the name derives from the Roman buccellatum, a round bread made up of a crown of small rolls – but nowadays you can find also a long shape version. The traces of this dessert date back to 1485 and it is so important in Lucca gastronomical culture that in 1578 the Republic of Lucca imposed a tax on its sale in order to fix the banks of the Serchio river. All you need is a tour of any pastry shop or shop in the center to understand how much this dessert really is the typical dish of this land and why it is said that “Whoever comes to Lucca and does not eat the Buccellato is like there never was there”.